Prestige Finance has announced rate reductions to its entire prime product range with a leading market rate of 3.69 per cent. The second charge mortgage specialist and part of OneSavings Bank plc has reduced rates across its prime range and part of its near prime range. It’s also removed the minimum credit score for prime product applications and will allow the Prestige loan term to exceed the remaining term of a first-charge mortgage. In addition, where only one year of self-employed accounts are available, an accountant’s projection can now be used on prime products up to 85 per cent loan-to-value. 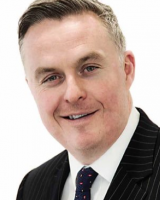 SimplyBiz Mortgages chief executive Martin Reynolds says: “It’s great to see a lender such as Prestige, with OSB’s strong pedigree, championing direct access and making second charges accessible to a wider market. A new lender, Magellan Homeloans, has launched into the mortgage market aimed at borrowers with an adverse credit record.